Lyon Eats: Found: Dr Pepper at Marché U! 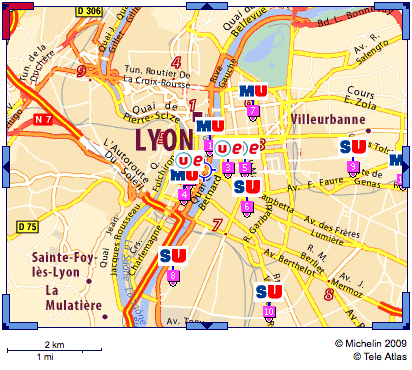 From Lyon Eats reader R.: I stopped by "Marché U" close to Cordeliers, the one that is just by the Rhône. I saw that they had Dr. Pepper. Does anyone know if the other Super U stores are carrying it as well or how much it costs? Thanks! UPDATE: 91 centimes a can - not bad! Thank you for organizing the get-together today, Kari. You rock :)...how would one say that in French, tu rock? ?